Price: Program Cost: $10 per girl. Free for adult chaperones and tag-a-longs. Pay by check or credit card (call 434-293-8000 for credit card payments). 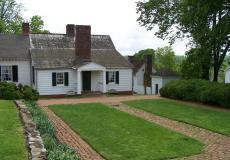 Join us on Saturday, April 27, from 10:00 a.m. to 12:00 noon, for Girl Scout Day at James Monroe’s Highland! Experience arts and crafts outdoors at the home of the Fifth President of the United States. Participate in a historic dance workshop, painting, nature photography, and more. Bring a picnic lunch to enjoy on the grounds after the event. An Outdoor Art Creator or Outdoor Art Explorer badge is included with the program fee. Program is available to Brownies and Juniors.